This fall, the Film Studies Center welcomes filmmaker and Hyde Park native Bill Morrison (Decasia) for a special presentation of his latest film. Dawson City: Frozen Time is a meditation on cinema’s past, the bizarre true history of a long-lost collection of 533 nitrate film prints from the early 1900s. Located just south of the Arctic Circle, Dawson City was settled in 1896 and became the center of the Canadian Gold Rush that brought 100,000 prospectors to the area. It was also the final stop for a distribution chain that sent prints and newsreels to the Yukon. The films were seldom, if ever, returned. 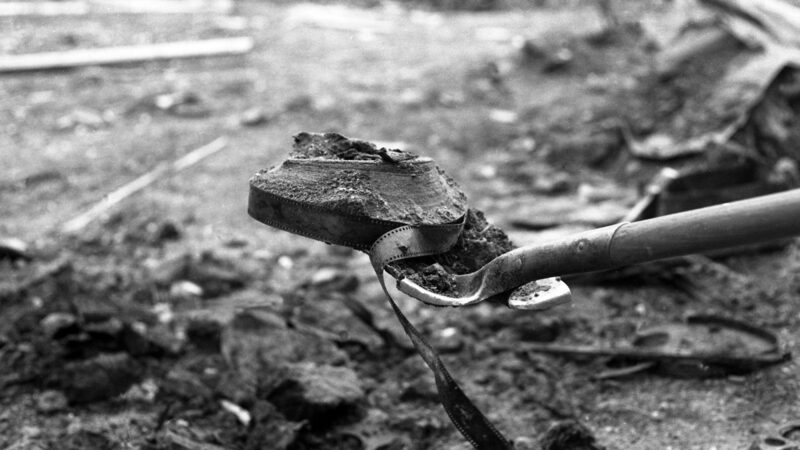 The now-famous Dawson City Collection was uncovered in 1978 when a bulldozer working its way through a parking lot dug up a hoard of film cans. Morrison draws on these permafrost-protected, rare silent films and newsreels, pairing them with archival footage, interviews, historical photographs, and an enigmatic score by Sigur Rós collaborator and composer Alex Somers. Dawson City: Frozen Time depicts the unique history of this Canadian Gold Rush town by chronicling the life cycle of a singular film collection through its exile, burial, rediscovery, and salvation. Chicago native Bill Morrison is a filmmaker whose works feature edited archival material set to contemporary music. His experimental collage film Decasia (2002) was selected by the Library of Congress for its National Film Registry in 2013. He has worked with composers including Gavin Bryars, Bill Frisell, Philip Glass, Vijay Iyer, and the Kronos Quartet. He is the recipient of a Guggenheim fellowship, the Alpert Award in the Arts, a grant from the National Endowment for the Arts, and an Obie Award.